Here's to a wonderful weekend full of crazy Summer fun. My family and I are big on the Olympics. It was something I grew up watching and looking forward to whenever they came on, and now I share that with my husband. For two weeks, each night, we are glued to the TV, following the events of the day. My mother is having an Opening Ceremonies get together to celebrate the start of the Olympics tonight, and I have to say, I'm excited for it. We are all supposed to bring something from a different country to celebrate. I am overrun by Zucchini and so I'm making Zucchini Bread. Which is kind of cheating because, let's face it, it's not really from another country (I actually did the research,) but it's what I got and it is freakin' amazing if I do say so myself, so it's what I'm bringing. Now, I know there are many of you with too much Zucchini and not enough things to do with it. 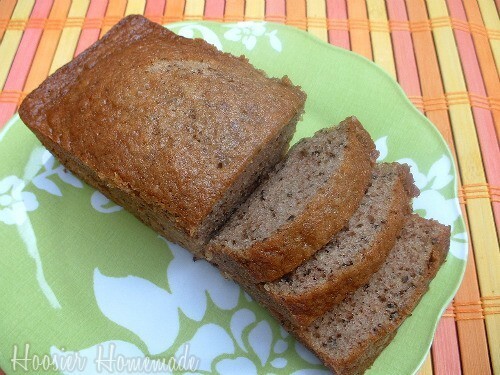 So, I thought I might share my Zuccini Bread recipe with you today. SO goood! Hope everyone enjoys their weekend. GO USA!!! If you freeze the zucchini, just defrost and include all the liquid in your recipe as well. I want to try your recipe. The last time I made zucchini bread, I didn't care for it much.